ONLY 23 lbs. 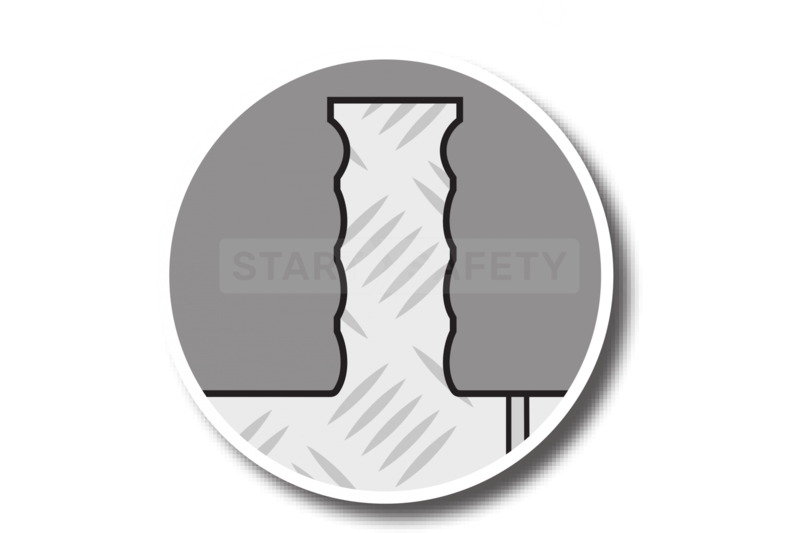 - The polyurethane construction of the Grip Guard makes this protector up to 50% lighter than competing 3 channel hose and cord protectors. Easy On The Hand - The new hand friendly "gripper" connector is very ergonomic making lifting and moving the Grip Guard units easy and comfortable. Each connector doubles as a hand-conforming grip. NEW Snap Fit™ hinged lid.- - There is NO fiberglass rod connecting the lid on the Grip Guard, it simply snaps in place. This makes the lid far more durable, and there is no rod to get lost or damaged during deployment. Better Grip Than Ever Before - Each grip guard cable ramp has its upper surfaces covered in 5 bar tread pattern for improved traction. 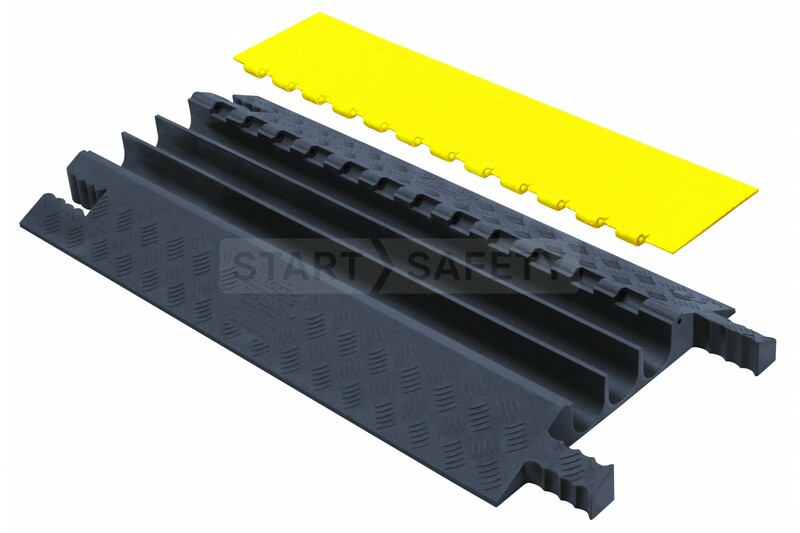 This makes the Grip Guard not only better for vehicles but pedestrians too! 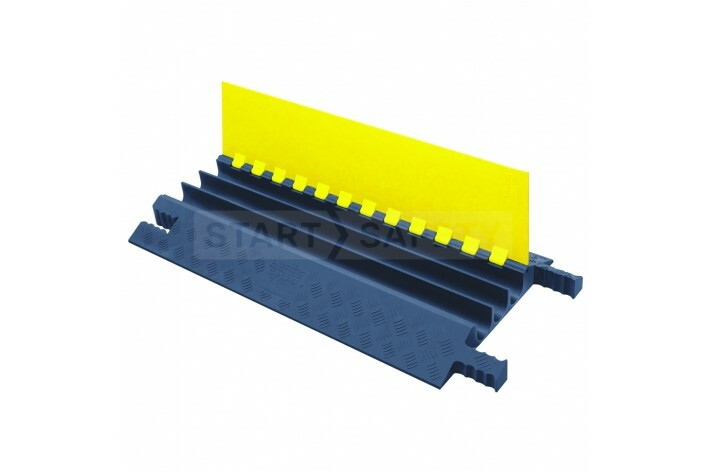 Durable and Hard Wearing - Each unit is made from hard wearing polyurethane, that is both impact and abrasion resistant. It can deal with fuel, lubricant and oil contamination too without deterioration. 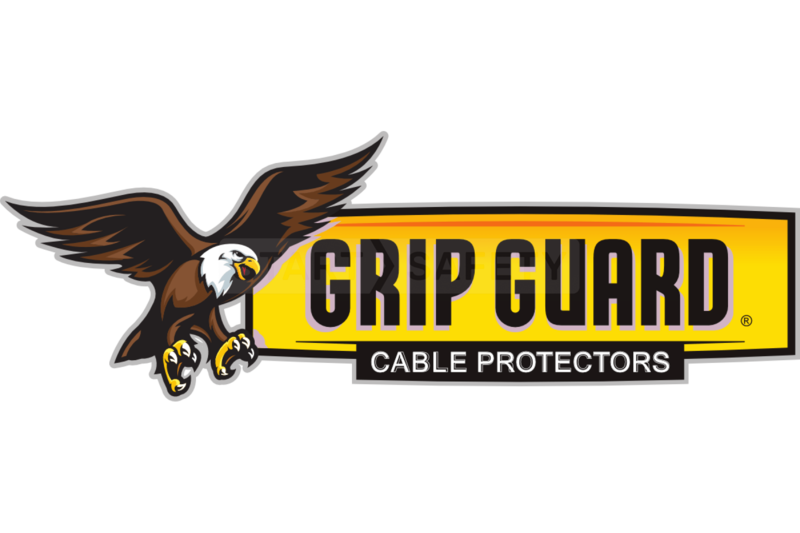 Non Conductive - The grip guard acts as a second layer of insulation around enclosed cables. 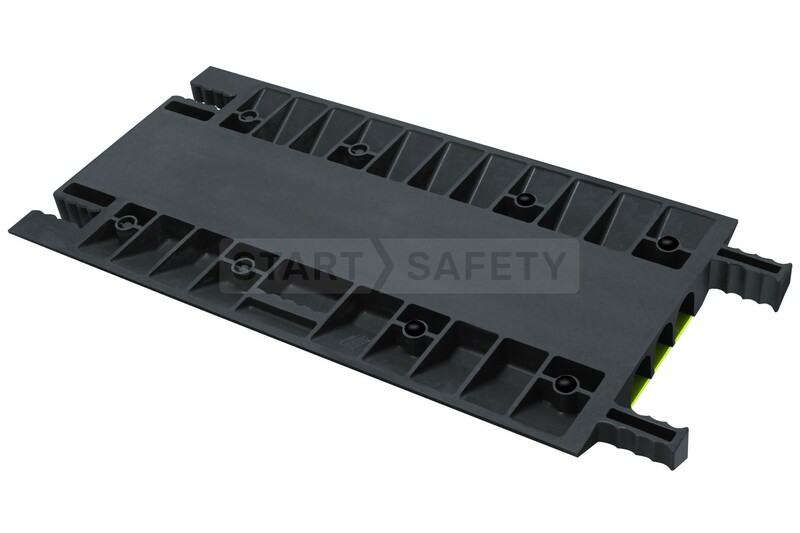 Recessed carrying handle molded in to the underside of the protector - This again further improves the ergonomics of the grip guard, making it easier to handle and faster to deploy on site.